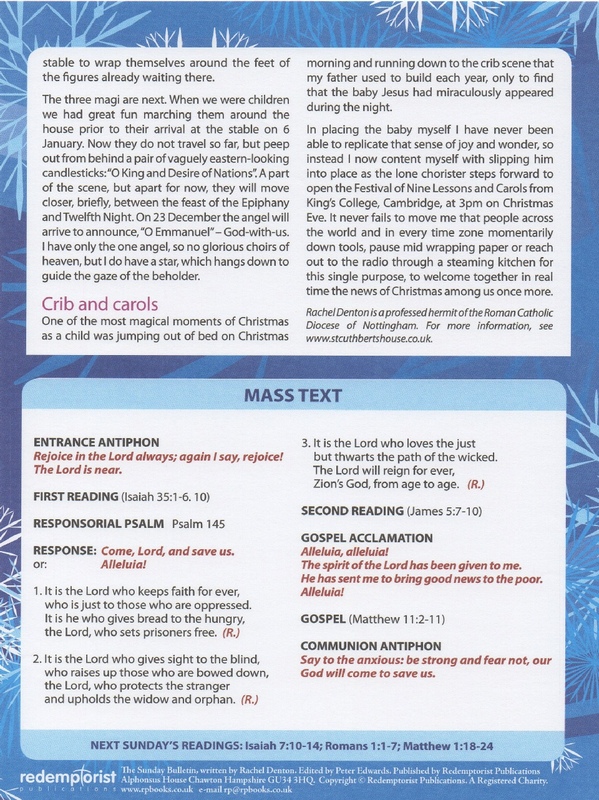 Redemptorist Publications: Sunday Bulletin, Dec 12, 2010. 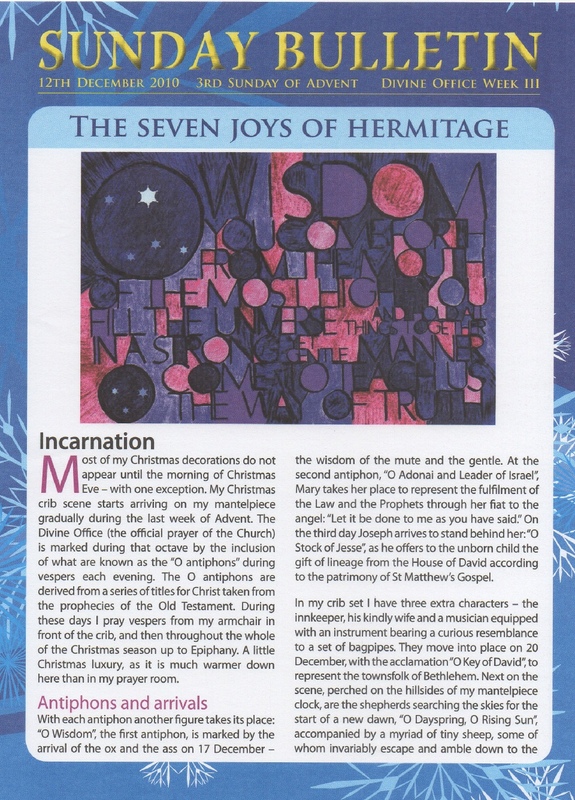 The Seven Joys of Hermitage: Incarnation. After a brief spell in a Carmelite monastery, for the first fifteen years of her working life, Rachel Denton was a teacher. In the summer of 2001 circumstances finally prevailed to enable her to pursue a long-held desire to live in solitude and silence as a hermit. With the support of her spiritual director and the Bishop of Nottingham, she installed herself in a quiet Lincolnshire village and five years later made her solemn profession as a hermit of the Roman Catholic Diocese of Nottingham. Over the next seven weeks, Rachel will be reflecting upon her life in the hermitage during this Advent and Christmas season.